NiQ Health joined their international partners ClinicAll® and Spok, Inc.® at the HiMSS Annual Conference & Exhibition 2015 at McCormick Place, Chicago, from 12-16th of April. NiQ Health CEO Mr Andrew Rothon attended the annual conference, showcasing the CarePlus™ Nurse Call system integration with ClinicAll patient infotainment terminal to international healthcare and HealthIT professionals. HiMSS is a global organisation focusing on improving healthcare through information technology (IT). The HiMSS organisation is an international leader in health engagement optimisation and improvement of care outcomes using IT. 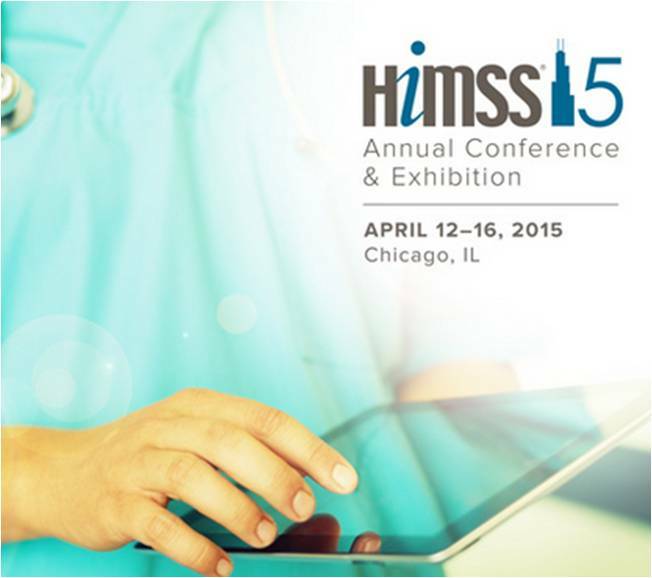 This year HiMSS Annual Conference & Exhibition showcases the newest technologies, trends, and solutions in HealthIT. The event saw nearly 43,000 attendees participated in a combined total of 600-plus educational, on-line and exhibitor sessions over the course of the four-day annual event. The 2015 HiMSS Mobile Technology Survey showed that nearly 90 percent of respondents are utilizing mobile devices within their organizations to engage patients in their healthcare, and mHealth technologies are beginning to drive cost savings and improve the quality of care delivered. CarePlus™ Mobile Connect enables the right caregiver to receive the right message, reducing alarm broadcasting to allow a quieter and more peaceful care environment which promotes patient healing and recovery. CarePlus™ smartphone integration with Mobile Connect improves workflow, efficiency and call bell response times, leading to significant improvements in patient satisfaction. The Impact of the Informatics Nurse Survey results, released at HiMSS 2015, indicated that the role of informatics nurses has expanded greatly and is having immense impact on patient safety and overall care, as well as notable workflow and productivity improvements. NiQ Health’s CarePlus™ solution significantly improves issues that all healthcare facilities face including alarm fatigue, improving patient satisfaction and mobile communication. The advanced functionality of CarePlus™ system smartly prioritizes patient alarms and messages, based on their need and acuity, and delivers them directly to the caregiver’s mobile device, smartphone or pager. CarePlus™ enables clinicians with better care management, workflow efficiency and significantly improves patient safety and satisfaction.